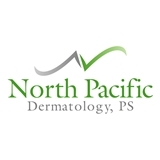 North Pacific Dermatology (Renton) - Book Appointment Online! Dr Sugai went over my skin inch by inch carefully and completely while his assistant recorded and photographed. Clear explanations and next steps. This was my second annual skin check and I'm really glad I started seeing him. I can also say that the staff is extremely competent, attentive and thorough.